On behalf of your elected officials, I would like to wish everyone a very Merry Christmas, a joyous Holiday Season and a Happy New Year! The holidays are a time to reflect on the past year and to celebrate the gifts of the season - peace, joy and hope. 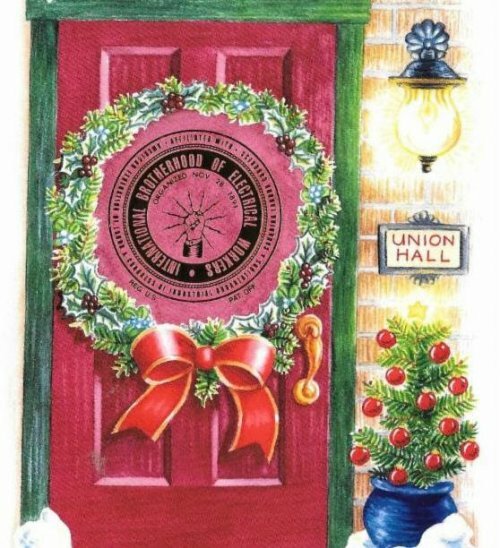 I want to thank the members who took an active role in their union this year, joining committees to make your jobs sites safer, responding to the LIRR Contract Survey, and joining our brothers and sisters in labor during the Verizon strike. Our Union is as strong as the members who stand up and take an active role. This holiday season, I am proud to lead all of you and hopeful for productive and successful 2017. Through this Holiday Season, I hope that you celebrate the time that you have with family, friends and loved ones. Take this time to reflect on all of the good things that you have in your life and the joy that they bring you. I hope that you all have a great holiday and that we all have a great New Year.